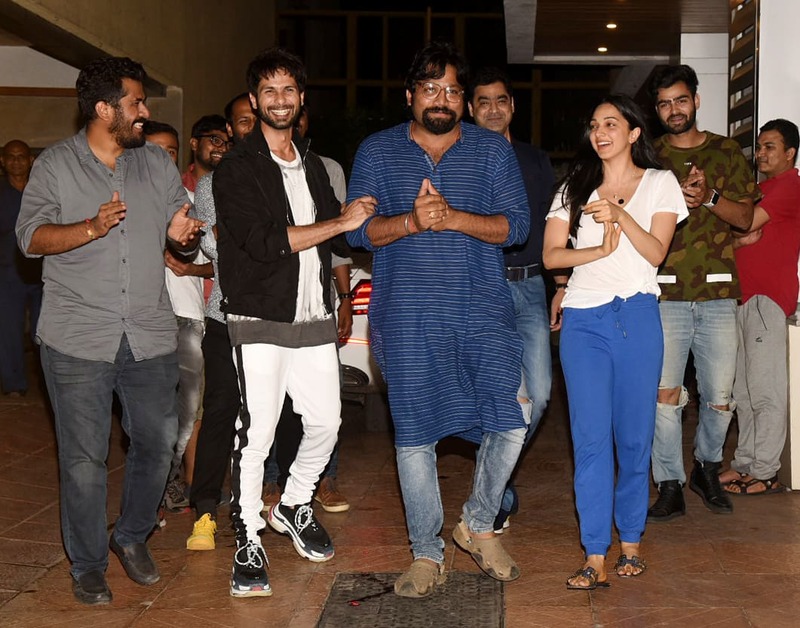 After unveiling the hard-hitting trailer of Kabir Singh, the entire cast along with Shahid Kapoor and Kiara Advani were spotted chilling in Mumbai's Bandra. 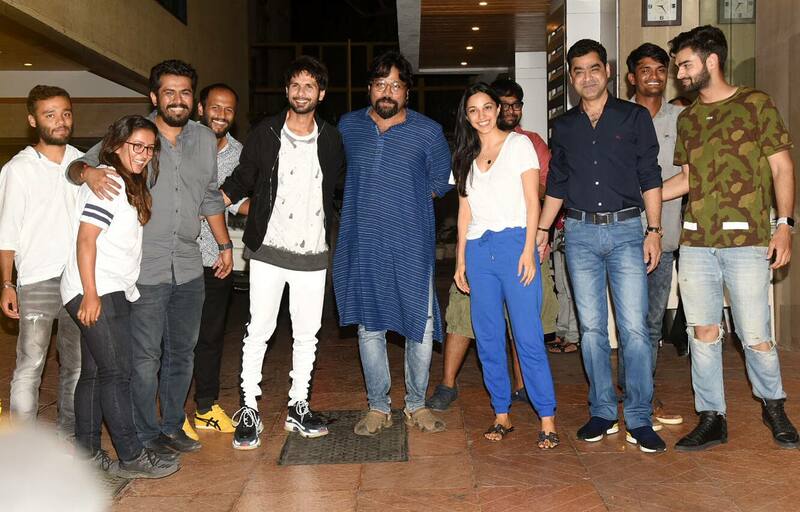 Shahid, who has superseded everyone's expectations with his portrayal of Kabir Singh, happily posed with his cast for the shutterbugs. The film is expected to hit the screens on June 21, 2019. Shahid essays the role of a medical student in Kabir Singh. Kiara is the female lead in the movie. 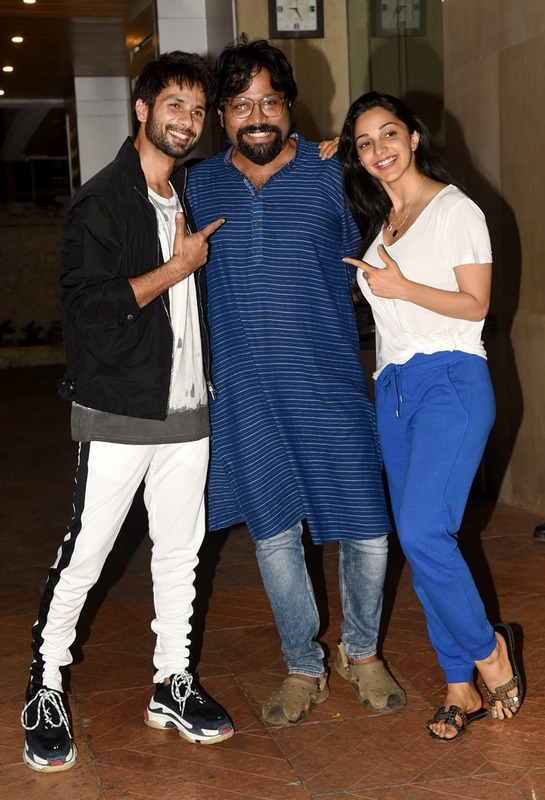 Prior to Kabir Singh, Shahid and Kiara were seen together in a music video titled Urvashi. This would be the first time that Shahid and Kiara will share screen space together. The film is the remake of Telugu blockbuster Arjun Reddy starring Vijay Deverakonda.